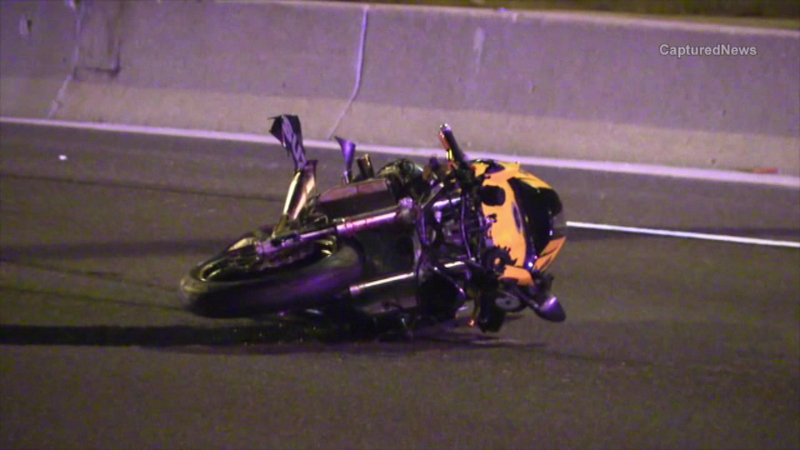 A motorcyclist has died after he was struck by a vehicle after hitting a deer on the Edens Expressway early Thursday morning near Northfield. NORTHFIELD, Ill. (WLS) -- A motorcyclist has died after he was struck by a vehicle after hitting a deer on the Edens Expressway early Thursday morning near Northfield. Huzefa Ukani, 25, was heading south near Willow Road around 1 a.m. when he struck the deer. He survived that crash, but another vehicle hit him and then fled the scene, state police said. The Cook County medical examiner said Ukani died of multiple injuries.